As "Offshoring" Loses Popularity and "Onshoring" Trends, Am I Crazy to Propose "Urbansourcing"? It seems corporations have started to recognize over the past decade that outsourcing American jobs to foreign labor pools is not the money-saving no-brainer it originally seemed to be. A few years back, Stephanie Overby at CIO.com went to great detail to show how businesses, in their rush to save money, probably overlooked or didn’t anticipate many “hidden costs” of outsourcing (aka "offshoring"). Specifically, she details the costs and challenges that pop up when working with colleagues half a world away. For instance, there are hassles related to managing foreign workers; never-ending travel expenses in all directions; the costs of transitioning technology, architecture, and knowledge while operations continue at home; the emotional and financial costs of layoffs and retention bonuses; the time it takes to adjust to different cultures (laws, business practices, ethics, and communication challenges); delays and problems that need to be addressed from many time-zones away; new quality assurance and testing needs… on and on. In the end, not many companies succeeded in saving gobs of money, and many have refocused on the home front in their ongoing search for new ways to save on labor costs. Why couldn’t some corporate mastermind find a way to cut labor costs by grooming “cheap” labor available right down the street, right here in our city? Last I looked there were a lot of people who could probably use a minimum-wage gig, and if the “hidden costs” of offshoring the labor make it somewhat of a wash, are companies currently looking to develop our students right here in our backyard, to take on some menial jobs like customer service? 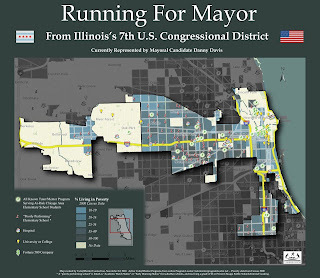 I know as a Chicagoan, I’d rather talk with someone who knew my city, my culture, and the nuances of my problems, while feeling good that companies were putting money into the pockets of local consumers, which in turn helps our struggling local economy instead of, say, India’s. “Ruralsourcing” or “onshoring,” the story tells us, “recruits workers from minimum-wage jobs and gives them intensive training in IT specialties.” Mentoring in rural America! If this is any indication, it seems companies aren't thinking solely about "menial" jobs when looking at places in the United States to develop workers from "minimum-wage" skill sets. And really, why should they set their sights low? I have worked with some CPS high school students like Sean at Cabrini Connections tutor/mentor program’s Tech Club (a club where students from Chicago’s notorious Cabrini Green neighborhood meet each week to learn marketable tech skills), who are perfectly capable of rising to any challenge I have faced in the corporate sector. Socially-responsible and forward-thinking companies would be foolish to look thousands of miles beyond the Seans living right down their road. Why is this important to Mr. and Mrs. Gates' philanthropy? While the press releases and reports focus on social and charitable benefits, I can’t imagine that Microsoft hasn’t recognized the potential shared value that would come from increasing the number of students who move from every walk of life into college and onto career, and in turn increase the number of Seans who have a need for (and a way to pay for) new computers and occasional MS operating system upgrades. In the end, of course, business has a choice in how they want to invest in their human resources. 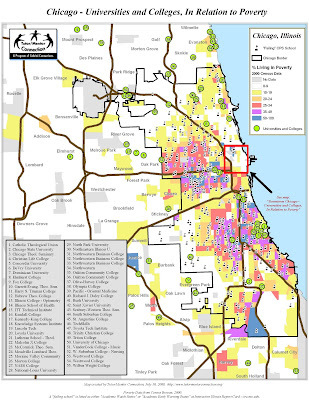 By no means, as an IT professional do I love the fact corporations have looked into solutions like outsourcing to save costs, and in turn crippling the purchasing power of and confidence of many qualified American workers, even as the cost of living in a city like Chicago shows no signs of slowing down. The more I read and the more I think about it, though, I can’t help but believe there are creative solutions out there, rooted in simultaneously solving our economic, workforce development, and education crises, all while creating long-term shared value for some brilliant business mind. Maybe I'm crazy to pitch “urbansourcing” and a support-system that includes a closer look at tutoring/mentoring? Or maybe it's the next big trend. 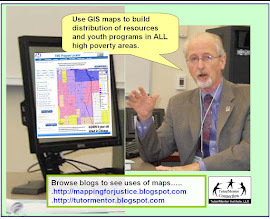 Occasionally, Mapping for Justice gets a chance to get out of the cubicle and work with kids in the tutor/mentor programs I write about. 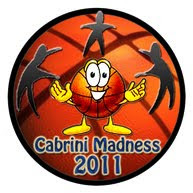 This month, Mapping For Justice has decided to support a team of students in the Cabrini Madness tournament – a yearly fundraising “tourney” that brings together "teams" of students, volunteers, program staffers, and outside leadership like you. The tournament helps teach students to advocate/compete for themselves, while helping the Cabrini Connections program raise a few bucks (which is vital for a non-profit to continue pairing adult mentors with youth from all over Chicago) - all while having a little fun. Check out the tourney website. 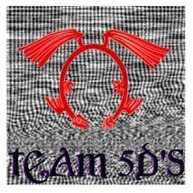 Team 5Ds (aka The 5 Dragons), captained by an amazingly talented young man, Charles Hill, with lots of help from other bright Chicago Public Schools (CPS) students, Sean Mayfield and Erin Smith. Every small donation you make with me, and every time you pass this article to friends and colleagues, we help support student efforts to support themselves, while raising awareness about the virtues of these programs - programs that not only help each student, but in turn help society, and help you and me as taxpayers. 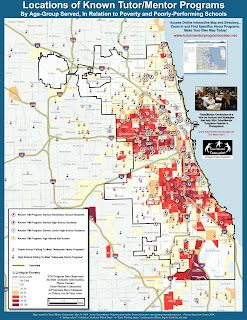 Additionally, 10% of your donation will go to Cabrini Connections Tech Club, a weekly club that teaches tech-related volcational skills to a group of students who want a little extra help on their way from the CPS to college and career. 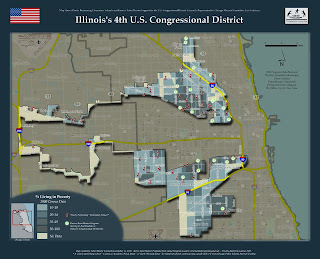 Please consider helping Mapping For Justice help Team 5Ds by making a small tax-deductible donation here. Wish us luck, and please check in occasionally to find continued tourney updates here.